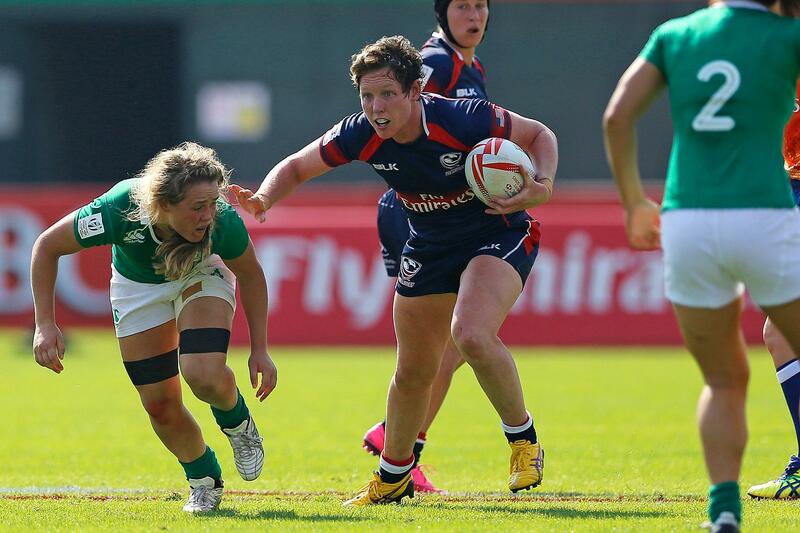 Jillion Potter - USA USA women's captain Jillion Potter in action against Ireland at round one of the HSBC World Rugby Women's Sevens Series in Dubai in December 2015. 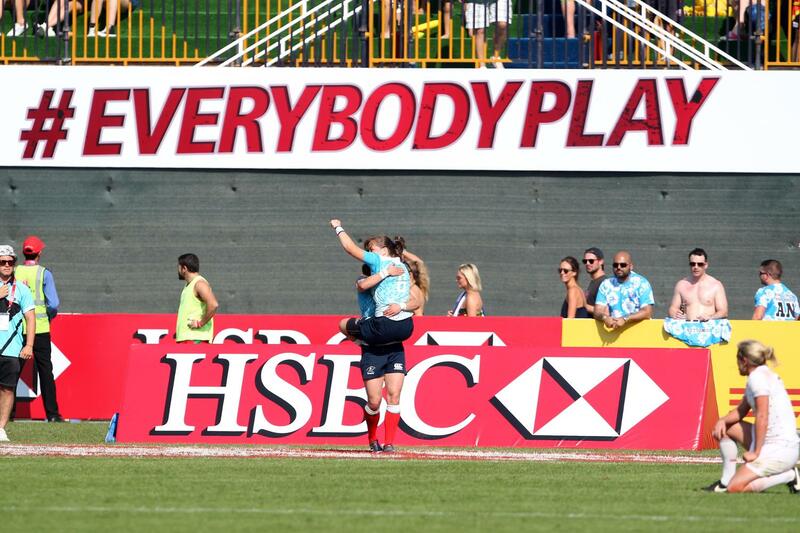 Amy Wilson Hardy - England England's number 12 Amy Wilson Hardy was in form on day one of the HSBC World Rugby Women's Sevens Series in Dubai. 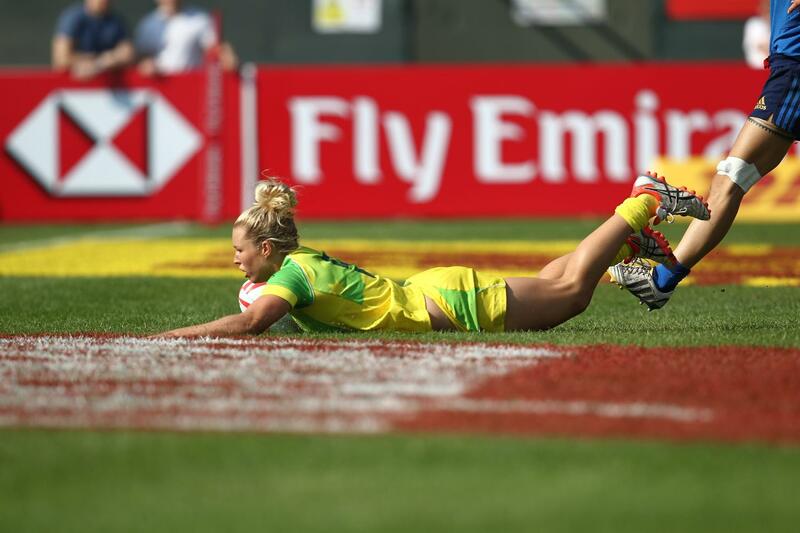 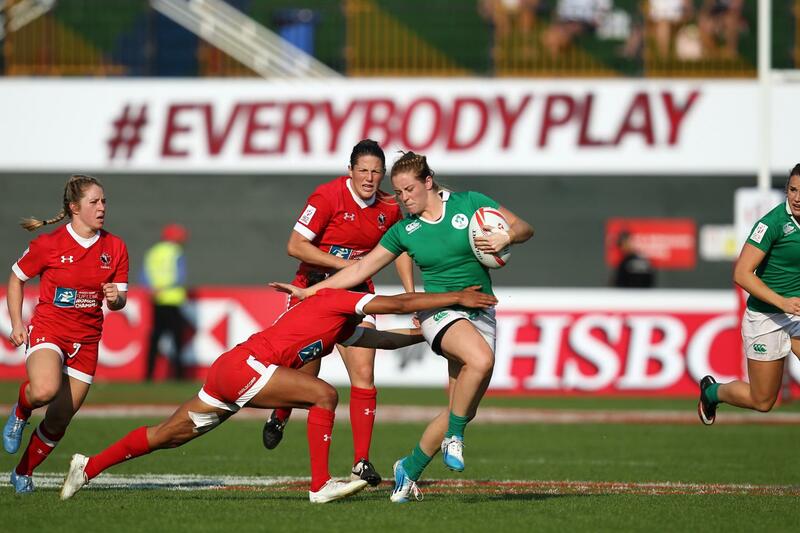 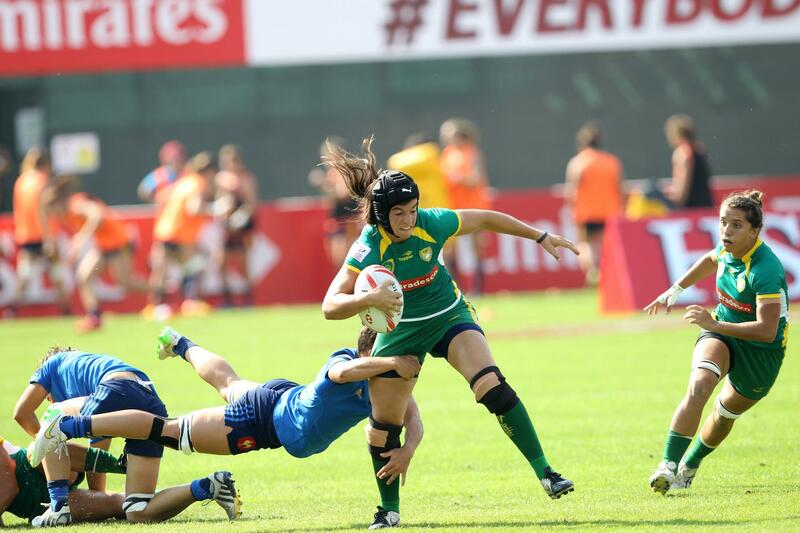 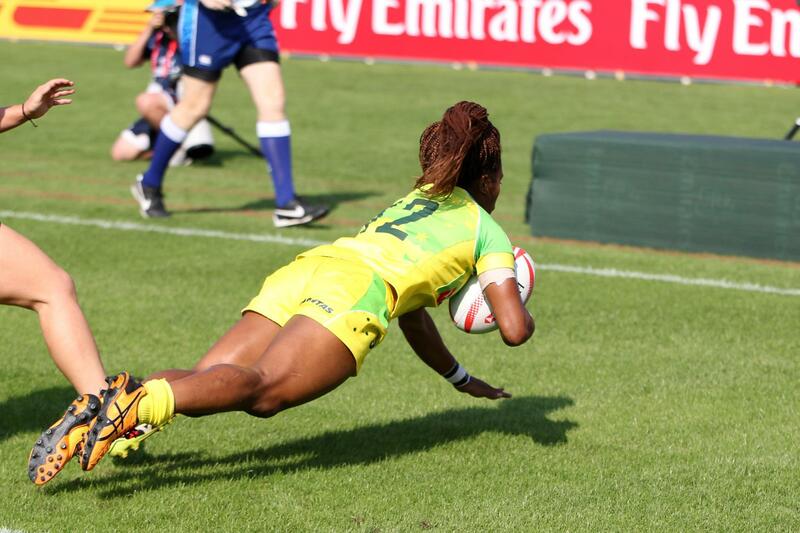 Ireland v Canada Ireland lost out 17-7 to Canada on day one of the HSBC Women's Sevens in Dubai. 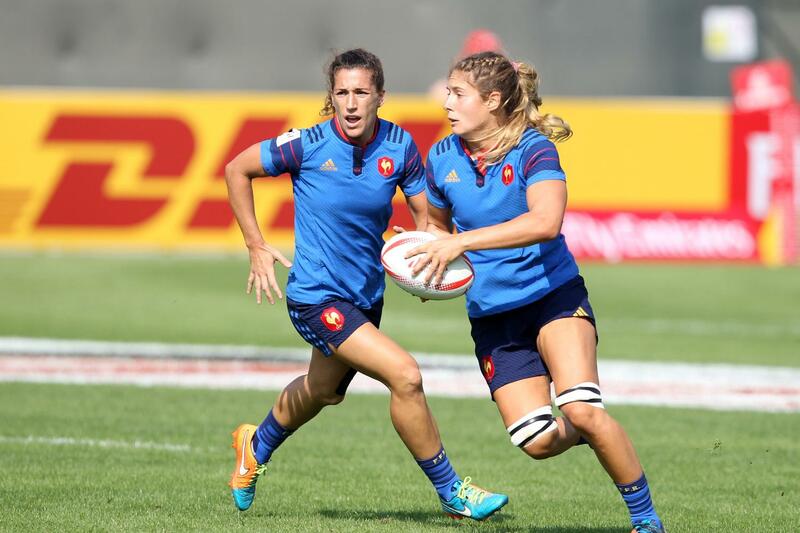 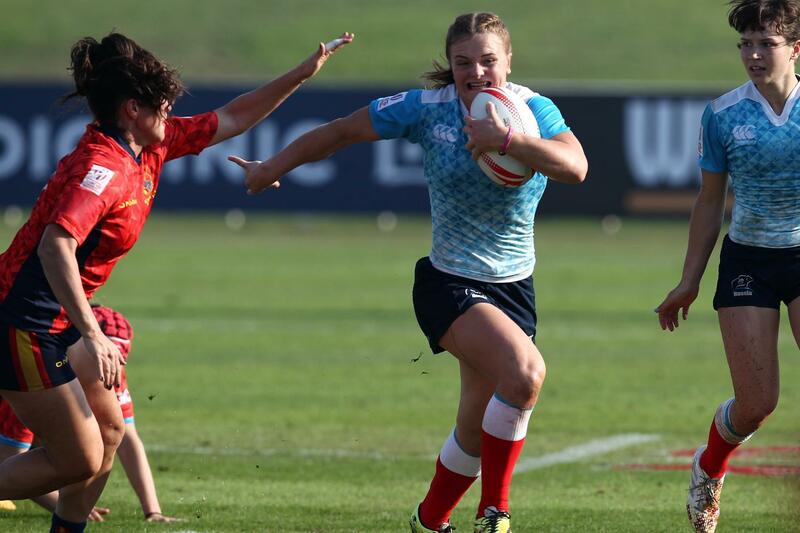 Marjorie Mayans - France Marjorie Mayans in action for France on day one of the Dubai Women's Sevens. 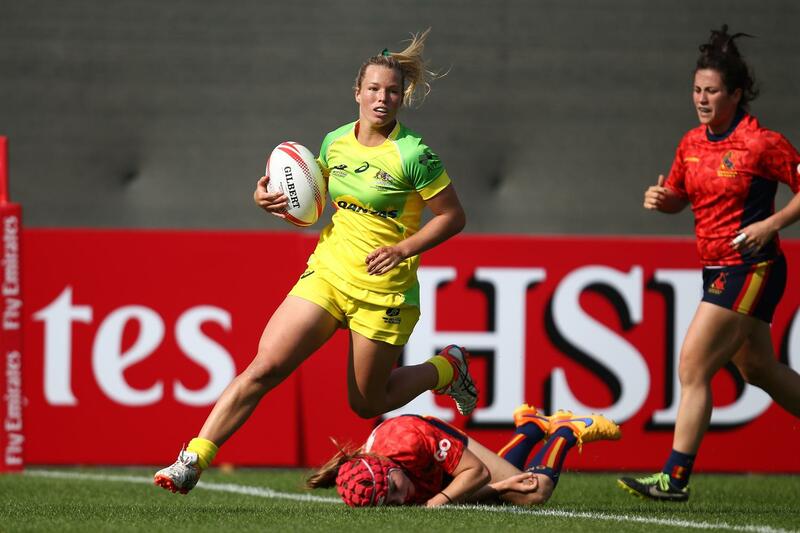 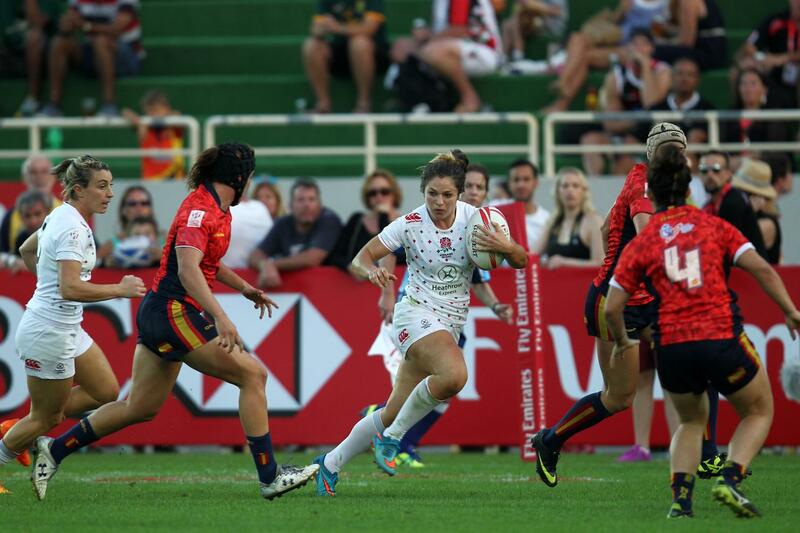 Emily Scarratt in action for England English captain Emily Scarratt led her side to an easy win over Japan, 35-0, on day one of the HSBC World Rugby Women's Sevens Series in Dubai. 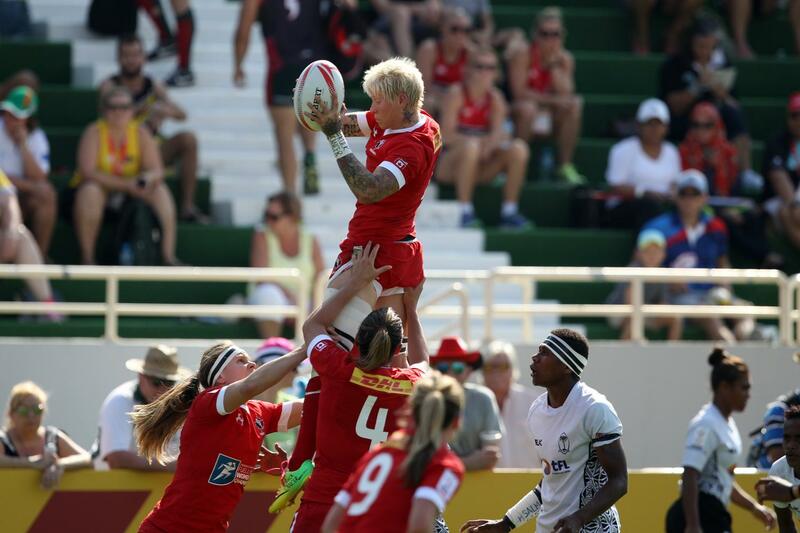 Jen Kish wins the aerial battle Canadian captain Jen Kish wins a line out for her side in their game against Fiji in Dubai. 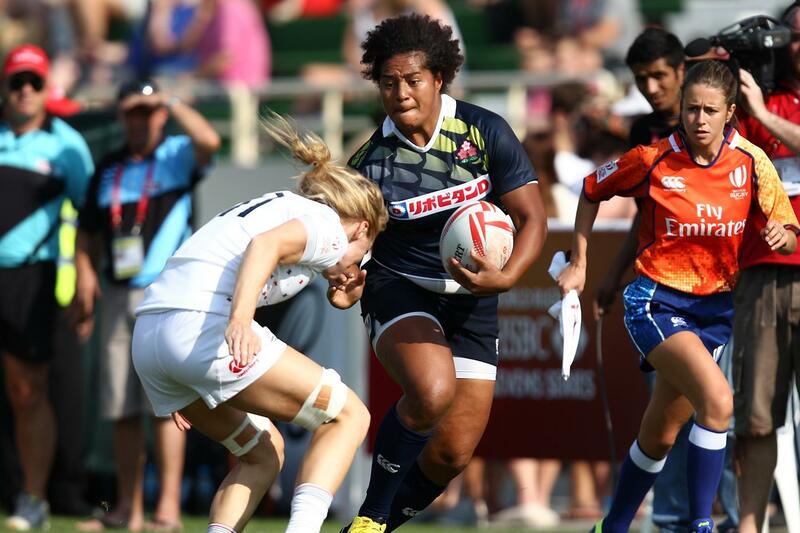 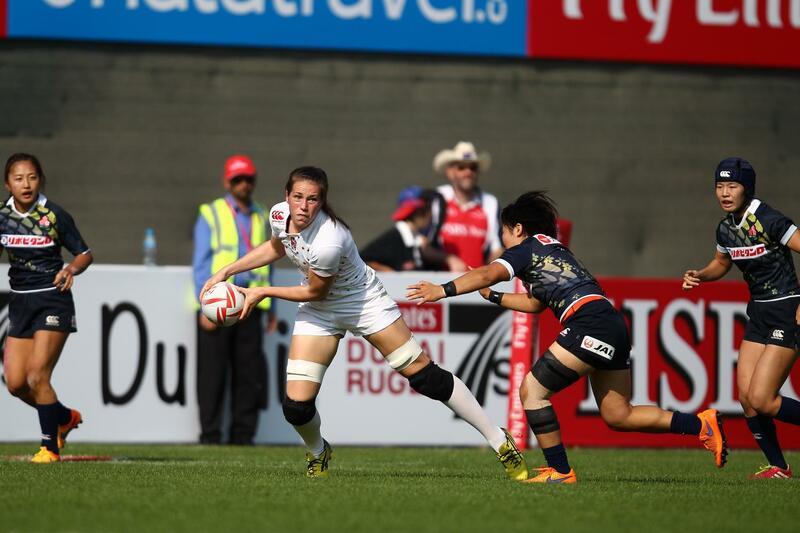 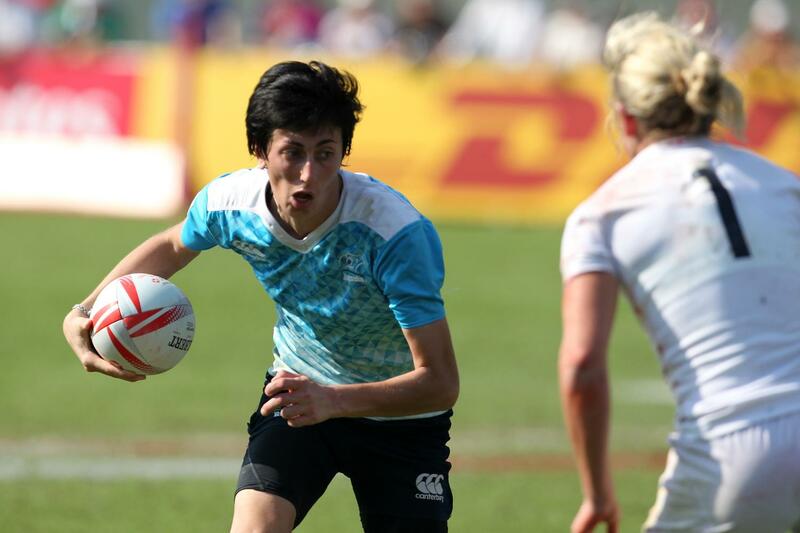 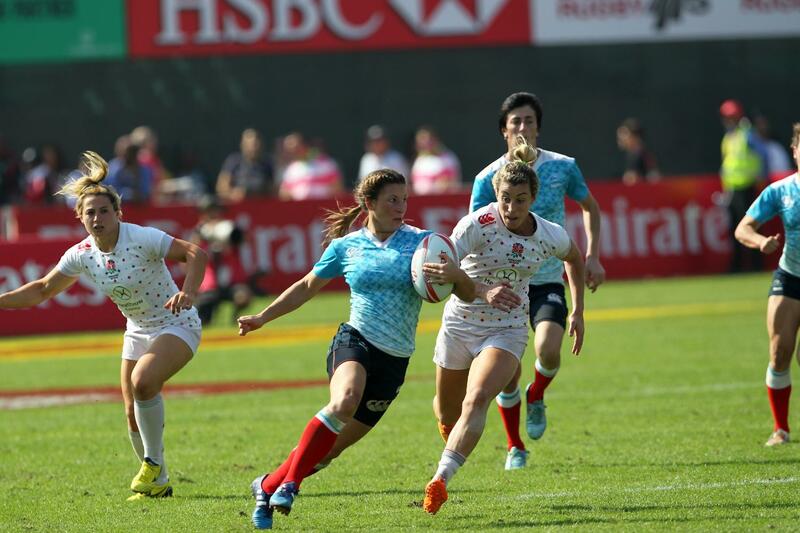 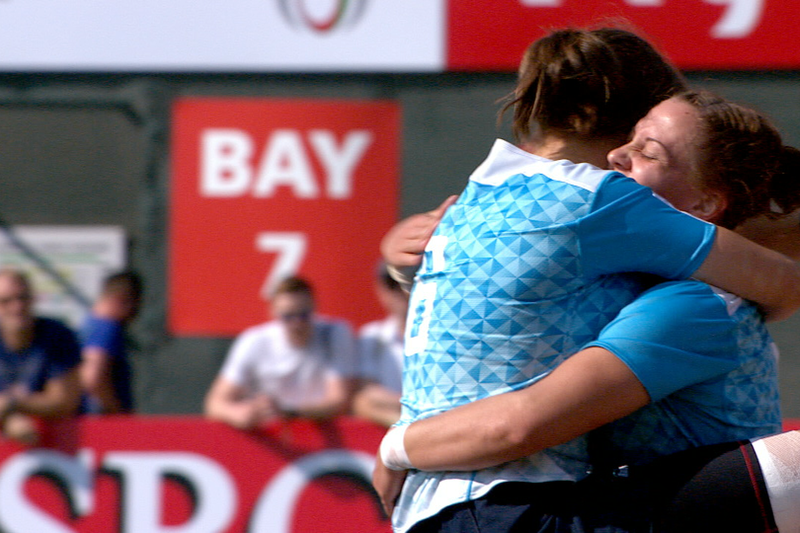 Japan v England Japan were no match for England on day one of the Women's Sevens series at 7he Sevens Stadium in Dubai. 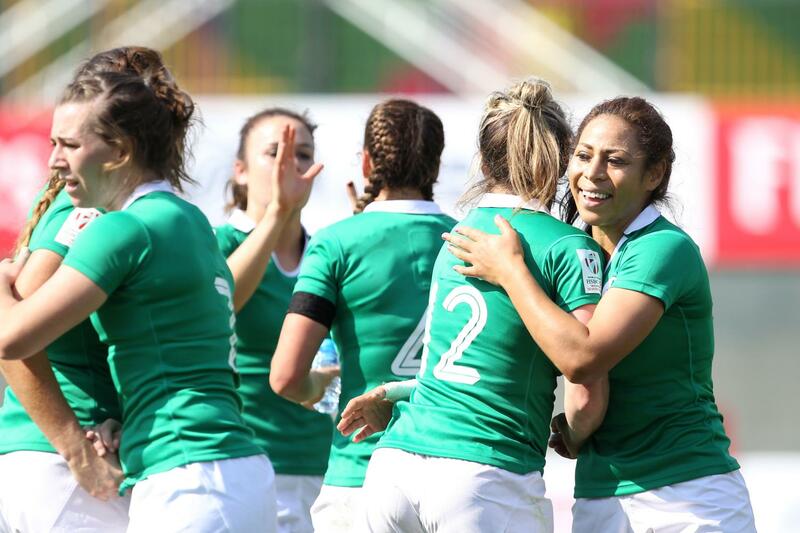 Ireland celebrate Ireland's women celebrate beating USA on the opening day of the HSBC World Rugby Women's Sevens Series in Dubai. 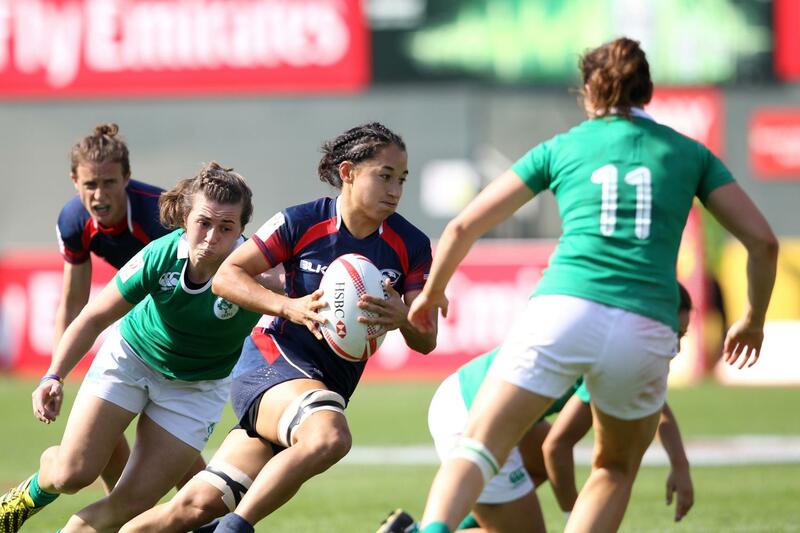 USA's Kelly Griffin on the attack USA's Kelly Griffin on the attack against Ireland on day one of the Dubai Sevens. 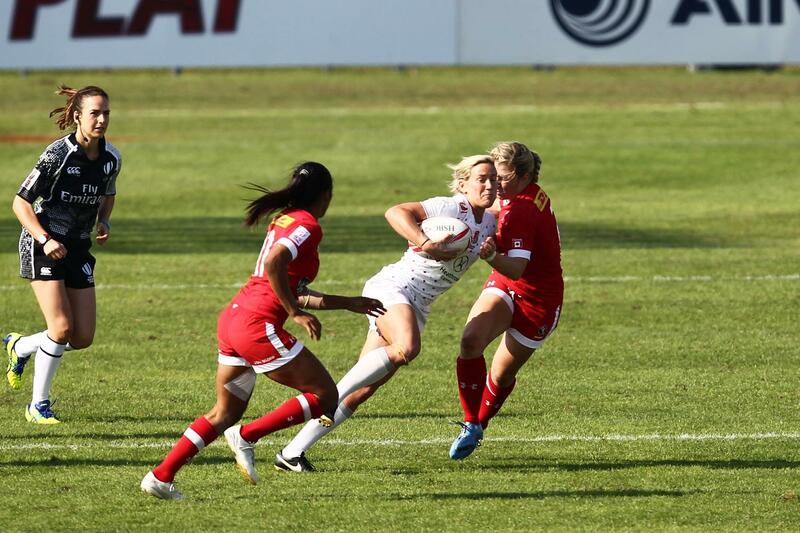 Crunch! 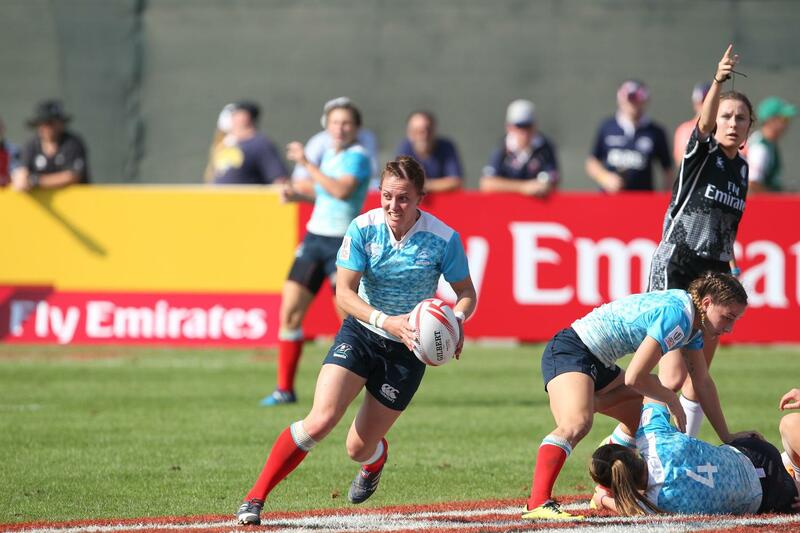 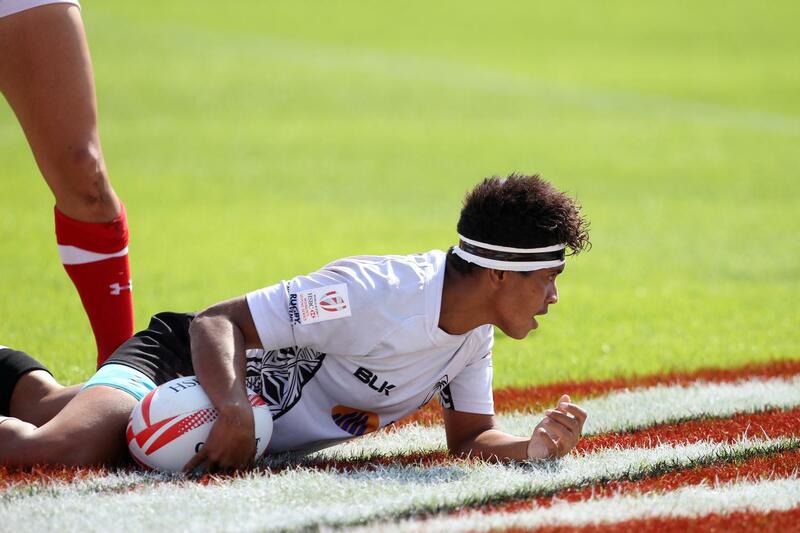 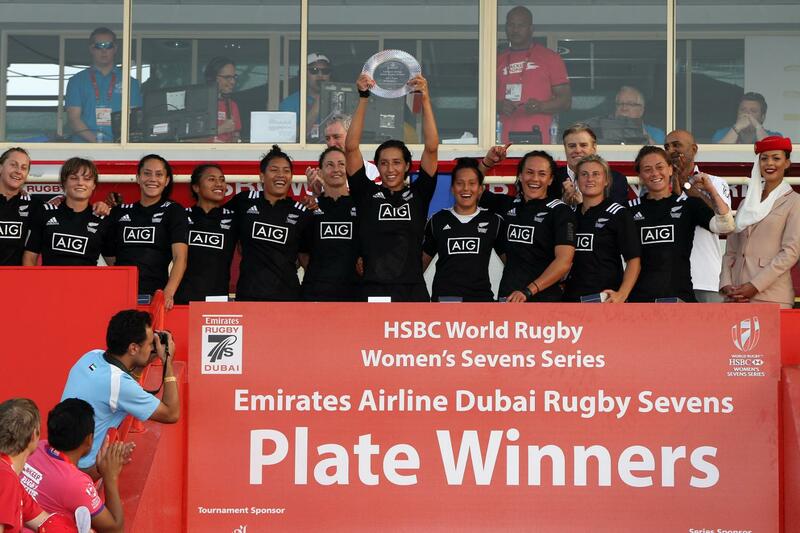 New Zealand lose to Russia in Dubai New Zealand were out-played by Russia on day one of the HSBC World Rugby Women's Sevens Series in Dubai. 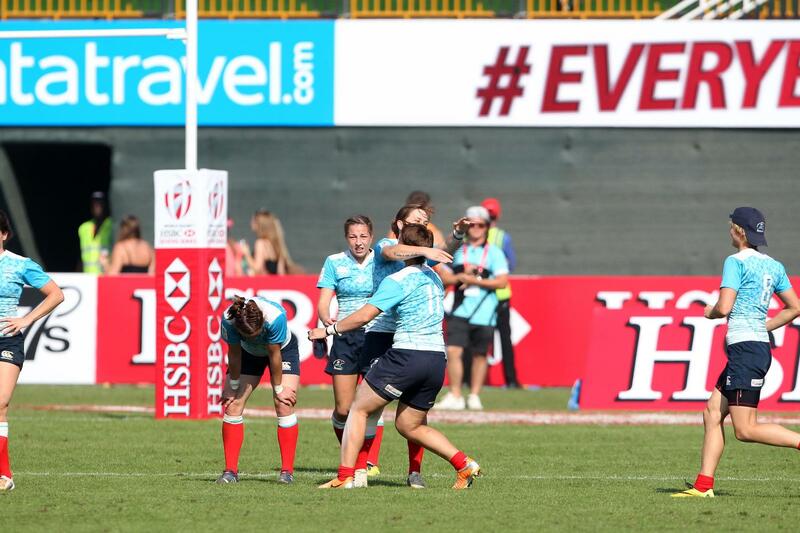 New Zealand women warm up New Zealand warm up with their Keep Rugby Clean shirts ahead of their opening match at the Dubai Sevens, 2015. 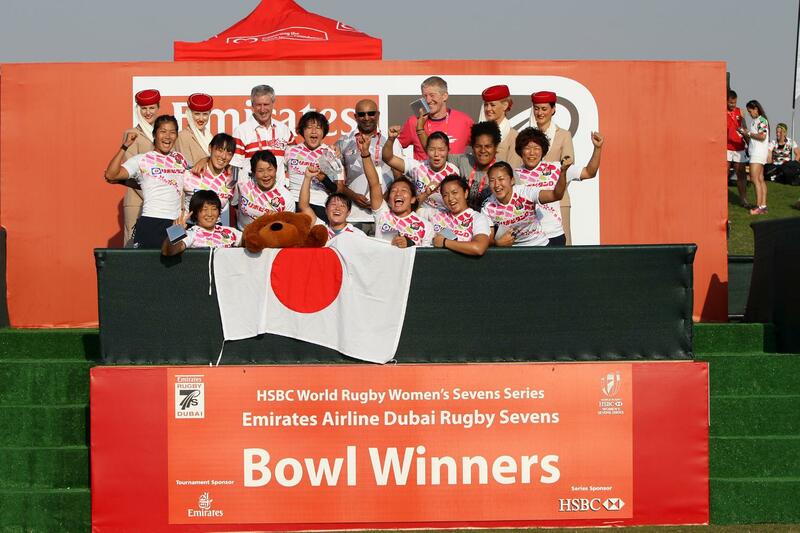 HSBC World Rugby Women's Sevens Series Trophy and Ball. 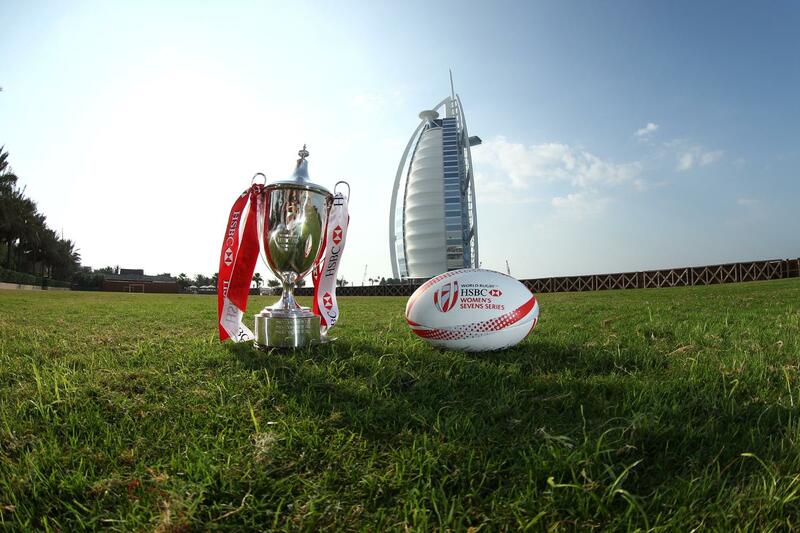 Dubai 2015. 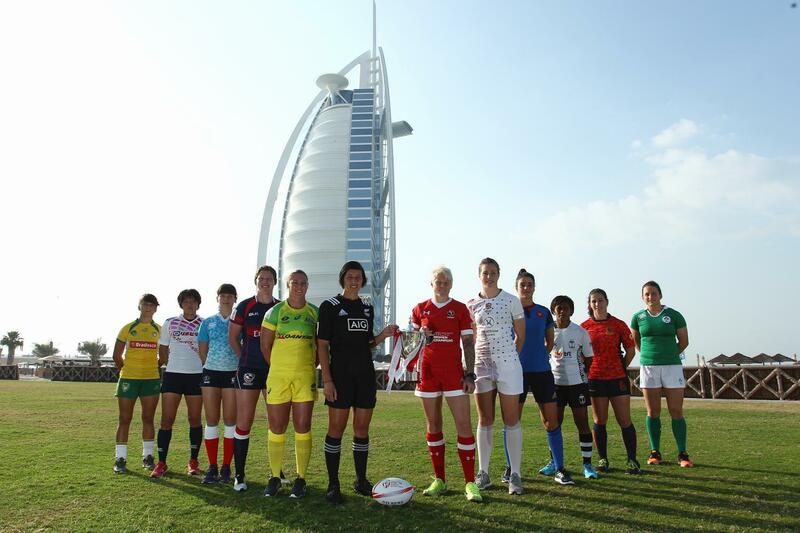 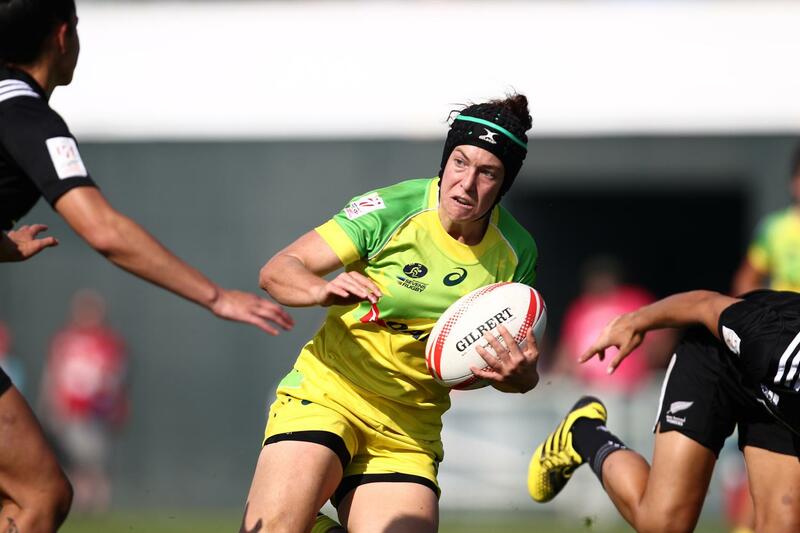 Women's Sevens Series captains 12 team captains line-up ahead of the start of the HSBC World Rugby Women's Sevens Series 2015.